Ridiculously breathtaking photos by the talented Jo Rodgers via her Instagram. I’ve always held deeply romantic notions about train travel which I blame on too many period films and Hitchcock himself. The convergence of strangers, sitting together in comfortably appointed surroundings while the scenic countryside becomes a moving picture of lives dissected by this hulking machine. Taking the Acela as I sometimes do, paints an altogether different portrait with a cast of characters who speak too loudly into their phones and Cafe car attendants who seem inconvenienced by your basic human existence. All of us are thrown together in a whirring tube that cuts through swaths of land mysteriously declared the last stop for tires, couches and other unidentifiable debris. I recognize that my route is one that might lend itself to these unromantic qualities - self important DC politicos, New Yorkers who speak louder than most to be heard over the horns and hum of the city, and a route through land that was never a bucolic paradise but one littered with factories now all but forgotten. Last week I made the journey from DC to NYC but I was determined to elevate the experience beyond getting lost in a book. With the aptly named London Fog in hand (Starbucks' homage to the British tea drinker) and a berry scone at the ready, I closed my eyes and imagined a far off place, suspended in time. Cutting through the highlands and lochs of Scotland. At some point, the simple navy wrap lying on my lap became a wool tartan blanket. I was in the land of Macbeth and upon reaching Philadelphia, I was imagining battles fought centuries before - the clashing of clans. A curiously chic shot from Lisa Borgnes Giramonti via Instagram. Have you ever become so engrossed in a book you couldn’t put it down? How about being so intoxicated by a film that you can’t leave your seat until well after the credits roll? We are drawn to storytelling as an escape from the trivialities of every day life. Commutes. Desk-bound lunches. Spreadsheets. Taxes. Even stories that include all these necessary evils whip us into a frenzy when connected by a thread of drama. Many of us have lives that are habitual and cyclical. Before we know it, a week as passed. Then a month. A year, gone. And many of us don’t have anything groundbreaking to show for it. Except maybe more taxes. That’s why it’s called a rat race. A spookily captured Belvedere Museum in Vienna by Lisa Borgnes Giramonti via Instagram. But what if there could be more? What if we could employ the same tactics that spark our imaginations when we become absorbed int a fantastic narrative to improve our lives? Elevate them. Become our best selves. Vacations suddenly become journeys. Adventures. Our homes become destinations, settings that inspire everyone who enters to rise to the occasion and be their best selves. Just because you bought that popular coffee table and have pieced together the perfect vignette doesn’t mean that it will suddenly be surrounded by interesting personalities and rousing conversation. You need the spark of a good story. By recalibrating the way we think and injecting a little storytelling to our lives, every day becomes exalted and we are infused with a richness of spirt and vitality. "Buxom, bawdy, decadent little minxes." Words and photo by the inimitable Lisa Borgnes Giramonti via Instagram. I’ve recently been asking myself, is this all there is? Meetings. Errands. A flurry of meaningless and repetitive activities that take up a lot of my time but are forgotten in half that. I don’t want to hit retirement with a nice framed photo and a pat on the back and think, that’s what all of this was worth? There has to be a better way. Someone for whom my admiration does not cease, Lisa Borgnes Giramonti, first said, “Life is made up of a series of delicious moments strung together. The more of those I can accumulate, the better.” I welcome you to participate in this journey with me - to live an enchanted life through the magic of storytelling. When my husband and I first visited the tiny town we now inhabit, we fell in love. It was a riotous love - the crumbling stone walls, cozy shops and restaurants set against a backdrop plucked out of the English countryside. When we finally decided to decamp the city and put down roots here, we had those idyllic visions of lazy country days, farm fresh food and a house full of cats, dogs and toddlers. We had hopes and dreams of a better life…and for the most part they are still intact. The thing about small towns that nobody tells you until you’ve signed a lease or mortgaged your life away, is that ratio of unhinged residents to, well, average folks is skewed in favor of those who are totally bananas. Part of the charm, I guess. We weren’t naive to think we wouldn’t experience some form of culture shock, we just didn’t expect it in the first 12 hours of unloading the moving truck. Exhausted from a marathon day of moving furniture and as the “morning-person” of our marriage, I sauntered down in my knickers and a tee-shirt to our new kitchen where we had wisely unpacked the espresso maker and all its accoutrements. Blinking myself awake as the caffeine hit my blood stream, I noticed a flurry of activity outside our kitchen window. At first I wrote it off as one of our neighborhood feral cats and paid it no immediate attention. That is until it stood up, a peculiar older woman with a bouffant of grey hair that would’ve made the Duchess of Devonshire* jealous. I yelled up to my husband and just signaled out the window when he arrived. A few expletives were exchanged and he, bravely, went out to address the situation. Morning Glory**, as she will be hereafter addressed, was our neighbor. In approximately two minutes time, my husband learned that she had owned a horse farm, had a bad hip that never healed properly after surgery as well as a metal plate in her head (don’t ask), favored the f-word, and she “owned” the plot of land directly behind the house we were renting. As we would come to learn later, Morning Glory was a notorious loon and didn’t have any legal right to our plot of land. It would take an entire 12-months of politicking and prayers for her hip to break before we were able officially kick her out of our view. Even though we’ve moved, her visage still haunts us today***. All of this is to say that moving can certainly take a toll on oneself and even stress the fortitude of one’s relationship. As such, I highly recommend that the first box you unpack is the one holding all the liquor. After all, there are certain cocktails that have made it not only acceptable but absolutely warranted to drink before noon. While we didn’t have these on hand that day, if I was forced to relive it again, I’d fry up some bacon and eggs and imbibe in this Gin-soaked cousin of the Bloody Mary, the Red Snapper. Rim the glass with the black pepper and celery salt. Shake all other ingredients over ice and strain into a tall, ice-filled glass. *Georgiana not Deborah, the recently departed Mitford sister. **Named so for her resemblance to the invasive weeds she’d nurture as part of her garden design philosophy. ***Literally. We moved across the street. I can now say with great authority as Christmas Eve has arrived and most seasonal greetings have been delivered by post, that the family photo card has now reached a contemptible climax. I mean no offense to those who choose this method to communicate good tidings and cheer, truly. Let me start with sheer mechanics. The brilliance of the traditional holiday card is that it is built with peacockian motives, to be flaunted and admired in tiny, ephemeral galleries. The flat, double-sided photo card can’t even stand independently on a mantle. It must be propped up like a drunken uncle against something sturdy. Or even worse, suddenly one’s refrigerator becomes festooned with a patchwork of foreign faces. I don’t need the judgement of a hundred eyes when I’m digging through the cheese drawer for a succulent triple-cream. We are living in the pinnacle of the digital age wherein one can share hundreds of photos with loved ones (or complete strangers) at the push of a button. We are able to watch babies grow into young adults halfway across the globe. In real time! Which draws me to the following conclusion: the photo card is the absolute zenith in narcissism. After all, there is nothing more permanent than a physical manifestation that you - YOU! - are living your best life! The import of the delivery, the thrill of opening the envelope paper cuts notwithstanding, this ceremony cannot be replicated in a swipe and scroll world. Most paramount, this representation of one’s self cannot be ignored. Now, I’m not implying that I am above a little narcissism. Quiet the opposite, actually. But if you are determined to exploit your vanity in the name of Christmas, I plead with you, for God’s sake, get creative. Need inspiration? Turn to the old masters. 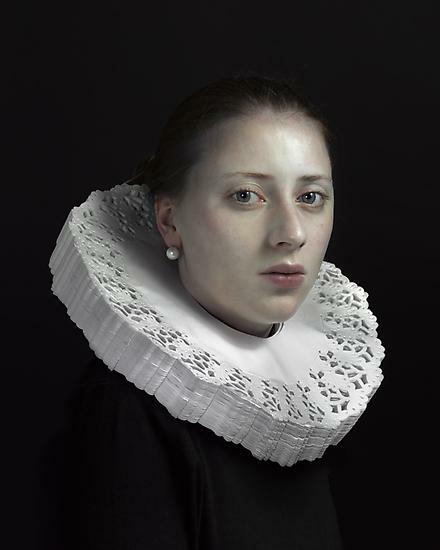 Gather quotidian objet for props and create a level of Flemish portraiture that is so inspired, it is displayed far beyond the holidays. Grab that linen tea towel or some wax paper, go forth and conquer! I cannot wait to see the results next year. The highly imaginative Hollister Hovey as Queen Elizabeth. 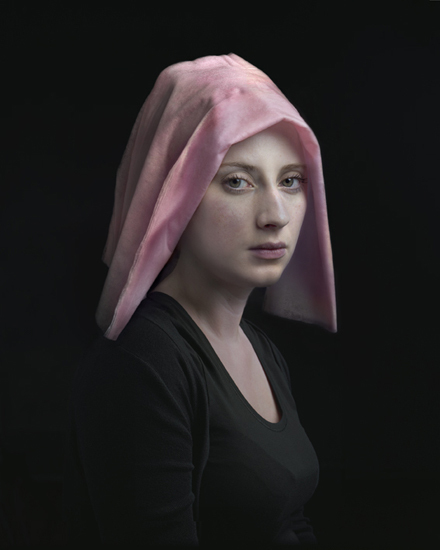 The work of photographer Hendrik Kerstens. Sometimes life keeps us running, running, running and the only thing to break the cycle is a weekend away from reality. We were honored to be invited to a dear friend’s wedding a few weekends ago in Palm Beach. It was an excellent reason to hop on a plane, leave our troubles at home and exist in a state of suspended elegance at the Breakers. By the weekend’s close, we were kicking ourselves for not having extended our stay. At least we have the memories to drift back to when life becomes overwhelming yet again. We breakfasted under this canopy. A storm just out of reach. Our curly-Q's first beach excursion in his 1920s style swimwear. “Style Icon” is typically an honor only bestowed on celebrities and the infamous. Rarely does an ordinary civilian earn such stature. This is the case, though, with one exceptionally chic New Yorker currently living in Chicago. Robyn Mizrach has the innate flair that I can only aspire to achieve. It starts with the mid-century modern abode perched high above Lake Michigan in Chicago’s Gold Coast neighborhood. When she’s not there working away on her forthcoming novel about Mies van der Rohe, she’s out on the town with her equally stylish husband. I dare you to dive into her Instagram feed and not come up malachite green with envy! Names are the labels we keep with us for life. Yet it is something which is completely out of our control unless, of course, the stage is your calling and no ordinary moniker will do. After all, Norma Jean Dougherty and Archibald Leach aren’t as marquee-worthy as Marilyn Monroe and Cary Grant. As a parent, one of the more important decisions you will make is determining the name of your child. Techniques vary from searching the Social Security registry of names starting from the bottom to assessing the characters of your favorite book to researching the surnames of your ancestors. And all of this hard work can crumble when you see the chosen one stitched onto a faux-fur, bean-bag chair in the latest Restoration Hardware Baby & Child catalogue. Nobody wants their child to be one of ten Olivers in their classroom, or do they? I happen to have a name that was not common until 1973 when both the Allman Brothers and Seals & Crofts released singles titled Jessica. Needless to say, I know a lot of Jessicas. When I was pregnant, my husband and I procrastinated on choosing a name for our baby. About a week before my due date we had our list narrowed to about 5 strong contenders. Our intention wasn’t to choose one name before the birth; we wanted to meet our little guy before we decided. We went into the delivery room with two finalists. Twenty-four hours after he arrived, with the birth certificate form in our hands, we were forced to finally choose. My husband had his favorite and I had mine. And then lightening struck me. “It really comes down to what kind of man we think he will become,” I explained to my husband. Each name conjured up a different image, a completely different aura and personality. Would he be a Steve McQueen, Paul Newman, rough and tumble, daredevil, masculine guy? Or, would he be a smooth and polished, debonair, aristocratic, Fitzgeraldian gent? Did I mention our little one had already completed countless circuits on the Sonoma Raceway at top speed in utero and, despite all medical predictions to the contrary, flipped from breech position at 37 weeks? There was no denying it any longer. He was anointed Wesley, our future fast-driving, risk-taking and daring boy. A few months later a work colleague inquired as to our little one’s name. “Wesley….Wes Miller. He’s going to be a race car driver,” he replied without prompting. Stunned, I immediately recounted the story of that night in the hospital. A few days later a DVD of The Great Escape, The Magnificent Seven and The Thomas Crown Affair arrived at my desk. Outside of a rare whiskey, it was the perfect baby gift. So what was the other name we considered? Ah, well we’ve locked it away in the event a dashing, gallant and elegant younger brother makes his big debut. I’ve long been obsessed with learning about what makes the iconic and visionary tick. Many of these pioneers have long been identified by their eccentricities and extraordinary quirks. After all, marching to the beat of your own drummer is arguably prerequisite to making a meteoric cultural impact. And while the anomalies that contribute to greatness pique my curiosity, I’m most fascinated by their slips into the prosaic. What are the metronomic essentials providing the rhythmic undercurrent to their vibrant melodies? For most of us, lunch is a mere pitstop, a necessary inconvenience. Nothing reaches the depths of ordinary more than the “office lunch”, that which is taken at your desk and likely involves an unremarkable sandwich or, worse yet, an unevenly hot tray of gelatinous goo posing as lasagna. I was thrilled when I found the lunch instructions of the legendary Diana Vreeland, proving that even the most captivating individuals had to slog through an office lunch on their way to immortality. Mrs. Vreeland always took her lunch at her desk and it was always ordered in from the equally legendary William Poll. A simple sandwich, raisins and black coffee - it’s hard to see any difference between D.V. and oneself, except for perhaps the Scotch and cigarettes. She even ate her sandwich from a napkin, no plate. And if I’ve learned anything from studying the routines of these folks, it’s that having order and routine in the most trivial details is essential. It’s as if having ultimate control of the minutiae helps clear the fog for one’s genius to radiate. I don’t know that I’ll ever be in a position where someone is tasked with arranging my desk on the regular, but if I do, I will be sure to have a highly specific diagram to help guide them. I have a shameful secret. When all is quiet and darkness affords me a level of anonymity, I have an uncontrollable desire to peek into the windows of homes. At dawn I witness these domiciles spring to life, as the inhabitants gradually surrender to their morning routines. With the advent of Instagram, we can now glimpse into these windows with permission. The gorgeous mid century modern abode. A quivering Eton Mess. Gorgeous tiles snapped on vacation in Morocco. They are all curated for our pleasure, inspiration and envy. When we were still in the embryonic stages of dating, my husband and I peered for an inappropriately long time into the window of a Georgetown row house. The details can still be summoned in my mind, the beautifully decorated living room with the toy truck and building blocks abandoned so perfectly. This room was lived in, not a sterile masterpiece with any hint of life stowed away in a cupboard. Just beyond, a small gathering was in full swing on the patio, adults and children were mingling and mixing and, I'd like to believe, sipping French 75s. A knowing glance between us confirmed our shared desire for the same quintessence of family life. Welcome to the Modern Traditionalist, the new home of my former Blogger blog. One year ago today, my husband and I unknowingly embarked on the adventure of starting our family (or "mixed the perfect cocktail"), something that has ignited within me the true spirit of the Modern Traditionalist. It's about never losing site of your own identity no matter what comes into your life, infusing glamour into the quotidian, mingling the past and the future, and redefining traditions for the modern life. Here I will share my experiments in domesticity and exploits in retaining a stylish life while raising a family.